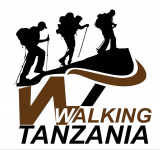 These are real possibilities that you can have through Walking Tanzania. When you arrive in Tanzania, our team will meet you and look after you well during your stay. It will be our pleasure to lead you safely up and down our mountains and wildlife Safaris. Along the way, our team will share with you about our culture, history and more funny thing, we will share our mountain and safari knowledge, and we will do our very best to ensure that you return home with much memories that will last forever. It will be our pleasure to lead you safely up and down our majestic mountain. We encourage our clients to immerge themselves in the diversities of our local cultures. On the mountain, you will learn about the Maasai, the Meru and Chagga. This aspect truly sets us apart from anyone else on Kilimanjaro. You are not a tourist, you are part of our small family and you will never forget the evenings spent with our team!